Why employee nutrition matters, and how to avoid stuffing it up. You’ve felt it yourself, and as a manager you’ve noticed the difference: what you eat has a big impact on both work performance and productivity. It’s not just how you feel on the day, although that matters too. We know that foods like cake and biscuits only make people feel more sluggish and foggy after the sugar hit wears off. We all recall the drowsiness after a particularly big and greasy lunch. On the flip side, you’ve probably also experienced how little you can concentrate when you’re hungry. It’s also long-term. 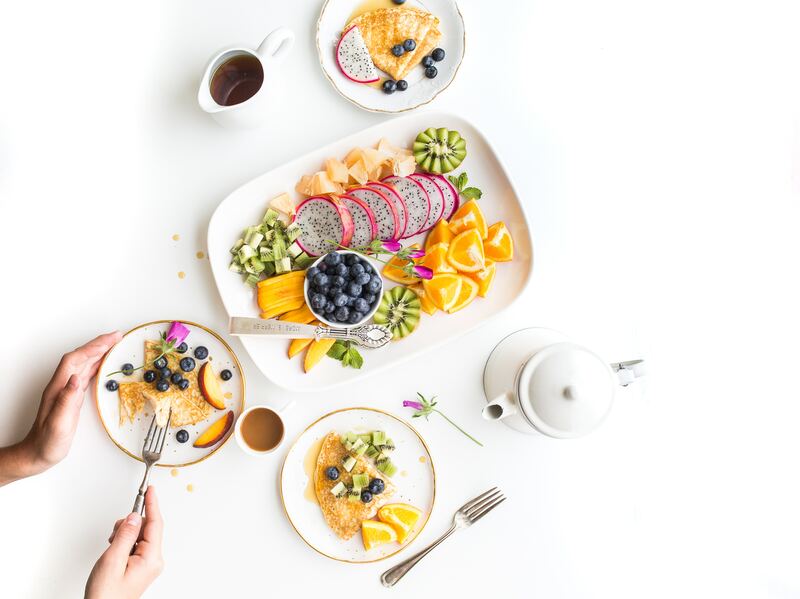 Recent research from the Health Enhancement Research Organisation (HERO), Brigham Young University and the Centre for Health Research shows what employees eat has a direct effect on productivity. They found employees who eat healthy are 25 percent more likely to have higher job performance. Even more specifically, employees who ate five or more servings of fruit and vegetables at least four times a week are 20 percent more likely to be more productive. Absenteeism is also affected by long-term eating habits. Employees who ate healthy and exercised regularly had a 27% lower absenteeism rate. So, just make ’em eat healthy, right? While it’s the evidence is obvious, the solution is not so easy. No one, absolutely no one, wants to be told what to eat. Least of all by their boss. Eating is a private and personal matter. It’s emotional and psychological and complex. Pretty much everyone knows they should eat five serves of veg a day and cut back on sugar, but few people manage it sustainably. Yet some companies have managed to change their employees’ eating habits. Google in Sydney gives employees three meals a day, plus healthy snacks. All coded (of course) according to nutrition. Kaiser Permanente, USA, offers healthy choices in all its cafeterias, plus provides 50 in-house farmer’s markets across all its campuses each year. Whole Foods Market, USA: as you’d expect, Whole Foods live the employee brand. Employees get discounts on the healthy foods sold in stores, but more importantly, they also offer a free seven-day health programs that include seminars and sessions from nutritionists. Genentech, USA, also offers on-site farmer’s markets and fresh food stands, along with a subsidised cafeteria with sushi and a salad bar. Swisse in Australia offers free breakfast for those who come early, plus fresh fruit. Hasbro in Australia offers weekly subscriptions to a veggie box program. Sure, some of these might be beyond the means of most small to medium sized companies. But the key success factor remains the same: culture. These companies are working to create a culture of health and wellness, where good nutrition becomes the norm. So how do you change culture? With 4 Ps. At Healthworks, we talk about the four Ps of behaviour change and culture change. They start with knowledge and skills, but they extend far beyond to the whole environment surrounding each employee. Start with education, without ever calling it education. No one wants to be lectured at about their eating habits. Provide fun, engaging and respectful ways to build employees’ awareness, knowledge and skills around healthy eating. Workshops, seminars and one-on-one consultations work will here. Just as importantly, actively encourage employees to try out these skills. Nutrition Challenges can be huge fun, turning healthy eating into a positive, high energy group experience. Consider peer influence: when everyone is eating healthy food, a new employee is likely to follow suit. Then consider the physical workplace. Do employees have access to healthy food? Do you offer free fruit instead of free biscuits? Offer discounts on fruit & veg boxes? If you have an onsite café, are healthy foods more prominent and cheaper? Do you offer discounts on local food outlets that are healthier options? Policy comes next, although we wouldn’t suggest “policing” food. It’s more about encouraging healthy eating patterns: not having compulsory meetings during lunch breaks; or if you provide meals for overtime, then the rule is healthy options rather than pizza, for example. It’s also unwritten rules such as replacing the office cake with celebratory fruit and cheese platters. Employees receive a one-on-one session with a nutritionist or dietician. They look at ways to overcome bad eating habits and plan feasible and fun ways to eat healthier. We offer five engaging nutrition seminars, which show employees easy ways to eat healthier and feel better. A fun 4 week challenge, focusing purely on nutrition. Employees tackle weekly tasks that help them develop new healthy eating habits. Nutrition is a core component of the our online wellness platform. The platform includes healthy eating articles and recipes, plus nutrition challenges.